No one wants to be caught in a hailstorm — pelts from these small balls of ice and compact snow can be quite painful. But potential property damage is another concern, and the impact can be quite costly. $330 billion in property damage worldwide was due to extreme weather in 2017, and hail contributes to $1 billion in property damage each year. The number of hail storms has increased 175% in the past 30 years. 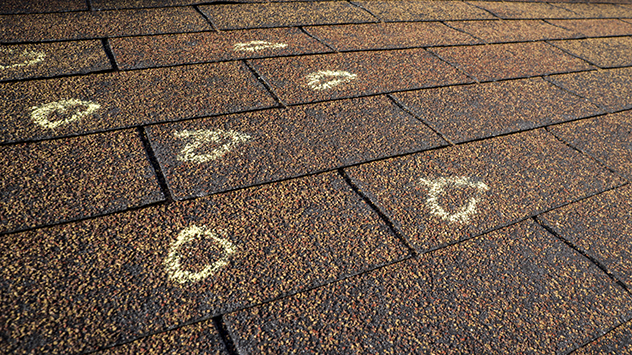 Worse, typical asphalt shingle roofs just can’t stand up to hail, although a metal roof can. It’s difficult to assess hail storm damage, but artificial intelligence can monitor properties in real time. This helps insurance and mortgage companies, along with property owners, take action before a storm develops and afterward. Learn more about the risks, and the solutions, in the infographic below.